Today, we’re sharing our current work calendars so you can see what content you can expect in the future. This is just the first of hopefully many updates about the on-going DLC development efforts. Our goal is to release or announce new content every other week, starting in July. Please keep in mind that much of this content is still in development. This means we can estimate to the best of our ability to give you a timeline, and we’ll be as transparent about that as we can be, but there’s always a chance that some content may get pushed out a little later than anticipated. What’s important to us is that you know what to expect and can get ready for the next big update. There’s a lot in the works, from continuing to balance and improve the game through weekly hot fixes and larger content patches, to the release of more free heroes, competitive maps and modes, premium Story Operations, and other DLC throughout the coming months. Your feedback is invaluable to us and we look forward to sharing more Battleborn content with you as development continues. Broadcaster mode will allow you to spectate the battlefield using a set of third-person camera controls to follow players on either team, jump to points of interest, or to move freely around the battlefield in Private Versus Matches. In the interest of making it easier to report players who are trying to ruin the fun for everyone, we’ve created an in-game reporting function that will be accessible through the scoreboard and allow you to flag players who are suspected of cheating, abandoning games, or ruining the overall experience. We regularly adjust and tweak matchmaking parameters in order to keep improving the matchmaking process. In fact, we’ll be testing out an overhaul to the matchmaking system starting later this week. As we gather data from matches and mission, we’ll continue to adjust and refine hero balance in the game. You can expect a bigger adjustment to 24 of the 26 characters likely coming in the next couple of weeks. We are working on adjustments to lore requirements as well as how those requirements are tracked. Premium DLC content includes DLC packs 1 through 5, each with a playable Story Operation and unlockable skins and taunts, as well as early access to heroes 26 through 30 with the use of a hero key. The first DLC Story Operation features Attikus and his twisted recount of the thrall rebellion he led to overthrow his Jennerit oppressors. Each DLC Story Operation is a highly-replayable scenario featuring one of Battleborn’s heroes. Each time you play through an Operation, the story, enemies, and objectives will change, increasing the difficulty but also the rewarded loot. Along with each Story Operation comes new skins and taunts that can only be unlocked through playing the Operation. Each set will include skins and taunts for various characters and will not be available to purchase individually in the Marketplace. Additionally, Season Pass holders will also get early access to heroes 26 through 30 with the use of a hero key. 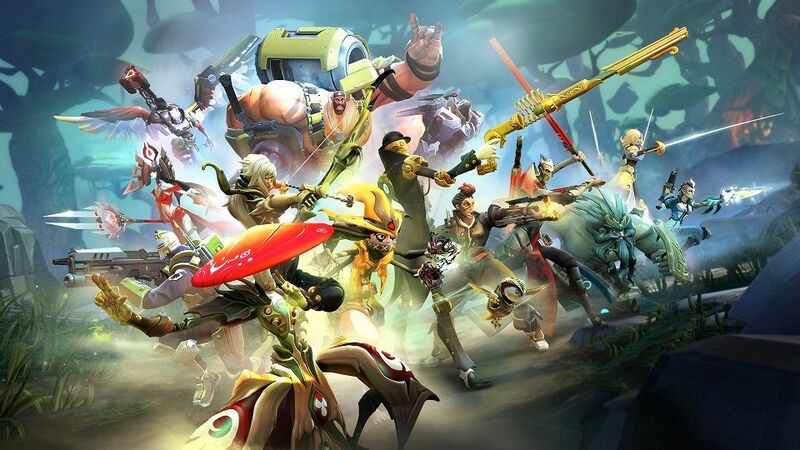 Each hero’s early access period will come with a hero key that can be used on the new hero, or any other locked Battleborn. Hero keys bypass challenge or credit requirements for unlocking heroes. The Battleborn Marketplace offers players the option to use earned or paid in-game currency to enhance their game experience without affecting gameplay. The Marketplace houses a variety of in-game content, from Loot Packs, bank pages, and new heroes that can be purchased with Credits earned in-game, to premium cosmetic skins and taunts that can be purchased with paid Platinum currency. We recently introduced Platinum to the Marketplace, a premium currency that can be purchased through the PlayStation Store, the Xbox Store, or through Steam Wallet in-game. Platinum can be used to purchase cosmetic skins and taunts that are not available to unlock or earn as dropped loot, or pick extra bank spaces or Loadouts. We plan on revealing more premium skins over the coming months and we’re exploring convenient ways players can boost their XP and credit earnings with Platinum that do not affect gameplay. However, these features are still in development and we’re looking to your feedback to help guide those decisions. This is hopefully just the first of many updates like this, so be sure to check back regularly for new info. You can also follow Battleborn on Twitter and Instagram, Like us on Facebook, and check out the latest videos on YouTube.